In the 3D printed future, Ghostbusters fans wouldn’t have to wait decades for LEGO minifigs. According to a new Time article, heads of LEGO are keeping a close eye on the fascinating developments in 3D printing and looking at potential opportunities for consumers. What could this mean? Though some websites already allow fans to print their own custom LEGO bricks and figures, official LEGO involvement could change the toy landscape dramatically. Might we be looking into a future of LEGO branded 3D printers? Ultimate custom sets? The possibilities are limitless! And it certainly has me (even more) excited at the future of LEGO. My mind is exploding as I ponder the possibilities. My 3D printed LEGO wishlist would most likely begin with filling in some existing gaps in LEGO series (the world needs LEGO Bruce Banner and Agent Phil Coulson — it just does). Then I’d probably bring back LEGO Adventurers. The Johnny Thunders series was one of my favorite all time sets and it’s been painful not to see their return, so put me down for some 3D printed versions of those. I’d print them up all sorts of new adventures. I think I’d have to make customized LEGO mini figs of myself and family, and I’d probably play with the color wheel and add more ethnicity to the existing LEGO lineup because over the years I’ve found my self borrowing that one extra brown LEGO head for far too many characters. It usually spends most of its time as LEGO Barack Obama. I’d also have my little sister take a whirl at 3D printing and encourage her to make her LEGO Friends sets in new & improved, non-gender based colors, so the LEGO City and LEGO Friends sets would look more integrated. We still believe that most girls don’t need/want everything in pink and purple. 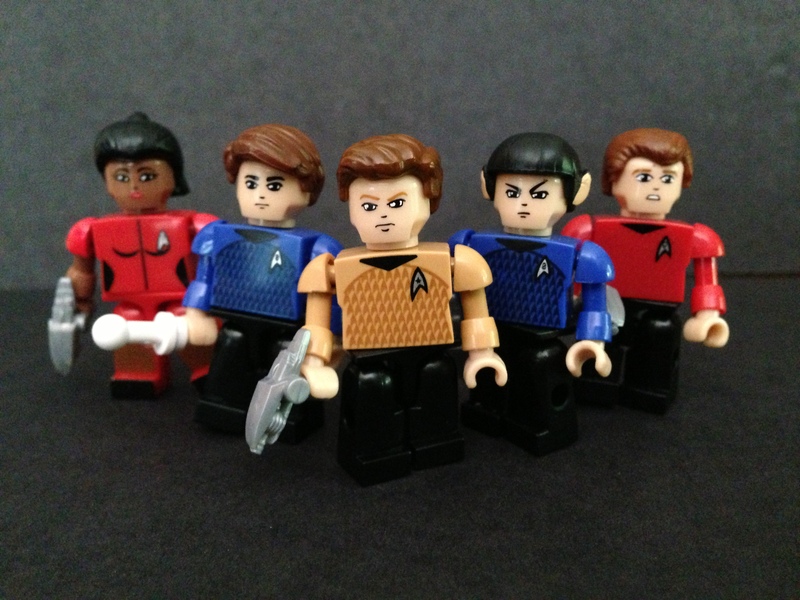 Whoa…and then there’s the TV character potential… Community mini-figs!!…. Yeah, I’d better start saving for a 3D printer now. What would be the first LEGO minifig you would 3D print?